Produced from recovered waste, SRF is a high-yield source of energy for producing heat and electricity, as well as being a waste disposal alternative. It is made up of dry, non-hazardous waste which can be recovered through incineration on municipal sites (household waste incinerators) or on high capacity industrial plants. 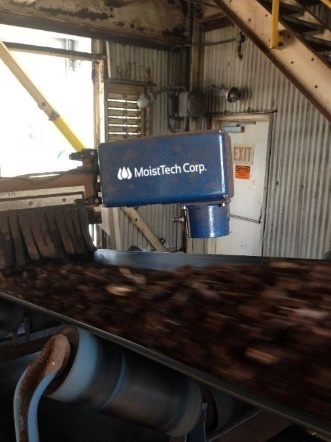 Moisture is important in any manufacturing process, but when it comes to waste alternatives, excess moisture can ruin products. And what’s worse than a wasted effort? Economical losses and decreased productivity. 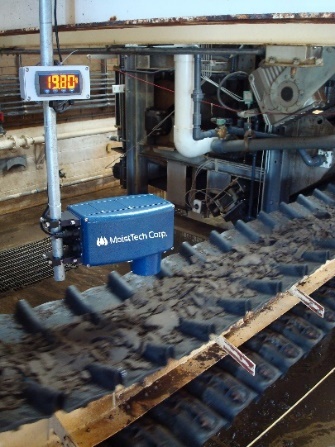 With continuous online moisture measurement, waste-to-energy plants will find huge money savings. From savings in transportation due to weight of excess moisture, to savings in water usage for dust suppression and clean-up. Plants also reduce the amount of wear and tear on equipment due to the dust and ash build up and prevent blockages on the conveyor resulting in shutting down the boiler. SRF preparation is usually carried out directly on waste sorting and recovery sites, for which it represents a complementary activity that in addition creates jobs. The SRF preparation lines are deployed to treat the waste in a 5-step process: crushing, drying, sorting, second crushing, pelletizing. Typical accuracy is about ±0.2% for ash moisture applications with a moisture range of 0-30% moisture. The sensor should be installed several inches above the conveyor belt.Once installed operators can continuously monitor the process and control the moisture content either manually or automatically. For monitoring and control, the sensor(s) can be directly connected to the users PLC or any laptop. Ethernet 4-20 ma are included as well as our high-tech Windows operating software. DPM-Digital Panel Meter and a Color Touch Screen Operator Interface are also available as read-out options. Unlike other instrumentation of this type, some of the unique features of the IR3000 is that can monitor the product even with small gaps in product flow and is unaffected by the ambient light without impacting the accuracy. The IR3000 is also ideal for installations on chain conveyors and screw conveyors. Additionally, since waste-to energy plants can be an extremely dusty environment at times, a small amount of air may be necessary to prevent dust collection on the lens of the sensor.